Here is my Murmur administration tool. 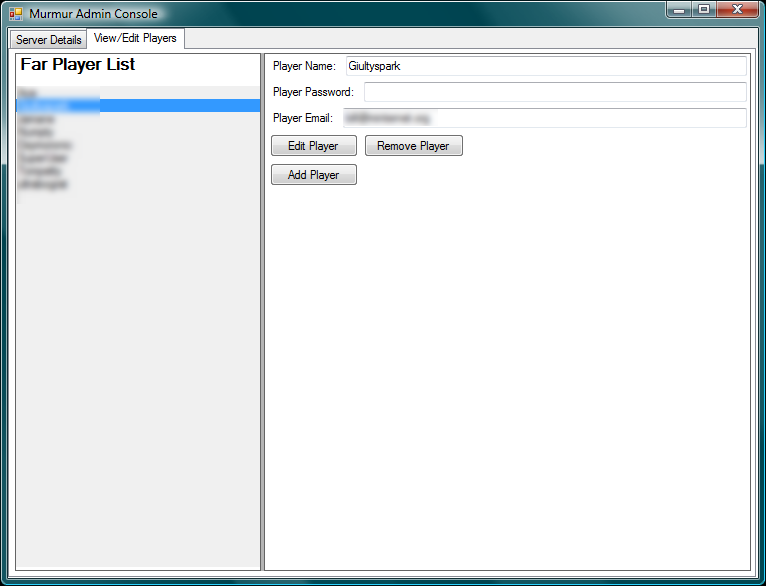 It allows one to add, edit and delete players from Murmur / Mumble servers using a clean and simple GUI. It runs using DBus over an SSH connection allowing you to administrate your servers remotely. It is licensed under the GPL licence and detailed licensing information is included. 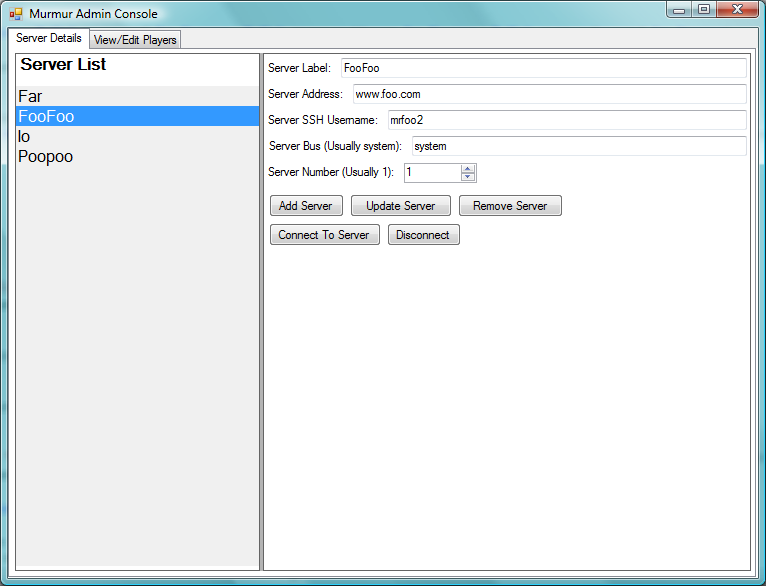 Version 0.5 now allows you to change the port of the SSH server and has a few security and stability fixes. Credit to Thomas PREVOST (zancdar) for adding changeable ports!